Jet lag is a natural part of international travel, but it doesn’t have to ruin your trip. If you’ve travelled overseas, you’ve no doubt experienced a bout of jet lag. Unfortunately, jet lag is a natural side effect of international travel, but there are ways to reduce its impact, if not prevent it entirely. Human bodies work on a 24-hour sleeping and eating cycle, and flying to foreign timezones is hugely disruptive to our natural circadian rhythms. In simple terms, travelling vast distances at high speeds confuses our bodies, which can lead to an array of symptoms including insomnia, excessive daytime sleepiness, fatigue, appetite loss, indigestion, constipation and difficulties with memory and concentration. There’s no magical cure for jet lag. But if you follow the tips below you might avoid being wide awake in a hotel room at 4am craving a hamburger. Get a good night’s sleep. It may seem like a good idea to stay awake the night before an international flight, but experts advise against it. It’s actually much better to be well rested for the journey. Start acclimatising early (if you can). It sounds crazy, but one way to minimise jet lag can be to try to adapt to your destination country’s timezone a few days before you fly. Obviously this isn’t entirely possible, but if you set your alarm for 3am, get up, have a snack and write a few emails before going back to sleep, it might help you adjust quicker when you land. Set your phone and watch to the destination time as soon as you board. It’s not advisable to do it earlier than this as you might miss important appointments, or even your flight! Eat and sleep on the plane at times when you would eat and sleep at your destination. 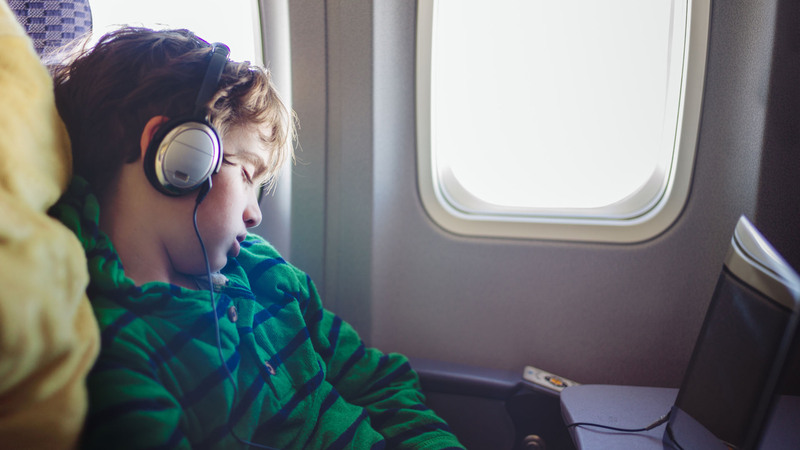 This can be hard to do – you have no control over meal times on a flight, and sleeping on a plane at all is difficult – but it’s a good one to try if you can. Stay hydrated. Drinking lots of water in the air is as important as drinking lots of water on the ground, maybe even more so. This will help hydrate your skin, oxygenate your muscles and regulate your bodily fluids, which can help alleviate swelling and liquid retention. Curb your caffeine intake. While it’s okay to have a coffee when breakfast is served on a long haul flight, be careful you don’t overdo it. Coffee, Coke and even tea can disrupt your sleep patterns, which are already being disrupted enough. Drink alcohol in moderation. A glass of wine on the plane can be a nice indulgence – just try to keep drinking to a minimum. Drinking alcohol at high altitudes is extremely dehydrating, and can interfere with sleep, causing greater fatigue after you land. Use sedatives and sleeping tablets sparingly. Sleeping on a plane can be tricky, and it can be tempting to take a sleeping tablet and snooze through until landing. But while this may be helpful during your flight, sedatives and sleeping pills may in fact increase your jet lag. Only use them if you absolutely must in order to catch some shuteye on the plane – and always at the recommendation of your GP. Book an airport hotel room for long stopovers. Got eight hours to kill in Abu Dhabi? One of the best ways to combat jet lag is by sleeping through your stopover. Plus you can have a shower and take maybe advantage if there’s a 24-hour massage service in your hotel. Hit the gym. Exercise is a great way to reset your body clock, release endorphins, and trick your circadian rhythms into submission. It will also help you stretch out your limbs after a cramped flight. Get some vitamin D. You can kill two jet lagged birds with one stone by going for a walk as soon as you can after you land. Just like exercise, sunlight is important to help your body clock adjust to the new timezone. Take naps. If fatigue hits in the middle of the day when you have things to do and people to see, try to have a 30 minute power nap if you can. But keep nap time strictly under 30 minutes, and no less than four hours before your actual bedtime, or you’ll do more harm to your body clock than good. You may not be able to escape jet lag entirely, but by purchasing comprehensive travel insurance you can escape expensive accidents and incidents ruining your holiday. Get a quote from Medibank travel insurance today.